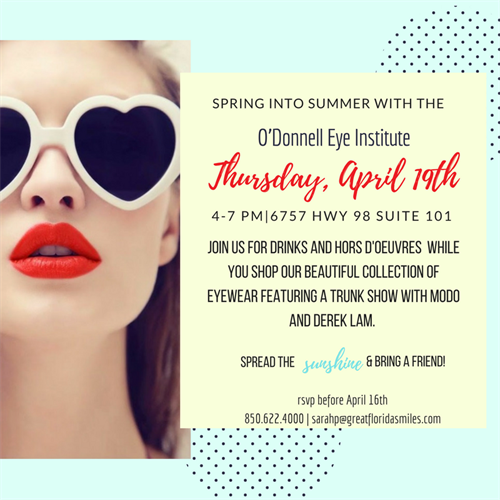 Please join us for the O’Donnell Eye Institute’s Spring Fling where you can browse our award winning collection of eyewear while enjoying complimentary hors d’oeuvres and drinks! We will also have two special trunk shows featuring new collections by Modo and Derek Lamb. BONUS: $20 voucher towards a future eye exam! Come and find your signature style for all of your summer selfies!